When we made the decision to upgrade to smart phones, one thing I was determined to do was find a way to earn money while using my smart phone. I tried a few different apps since our upgrade this summer, but none of them seemed to be worth the hassle. Just about a month ago, I joined ibotta and have been really pleased with program. With bonuses for tasks and referrals, the potential to earn $$$ is limitless! Just for signing up, ibotta is offering $10 in bonuses by redeeming 10 offers in the first two weeks! 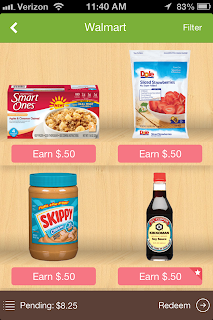 Join ibotta today and start earning money on products you already purchase!